Hundreds of Universitas Gadjah Mada Alumni from various batches and region were attended Alumni Night event, held by Subdirectorate of Alumni Relation, Directorate of Partnership, Alumni, and Global Initiatives UGM in Balairung, Saturday (15/12). Alumni Night 2018 was attended by UGM alumni from various background, starts from government institution, BUMN, private companies, KAGAMA, and the deans from the faculties in UGM. Rector of UGM, Prof. Ir. Panut Mulyono, M.Eng., D.Eng. and Chairman of KAGAMA, Ganjar Pranowo, S.H., M.IP. were also attended this event. This event was began with the opening speech from Chairman of KAGAMA, Ganjar Pranowo, S.H., M.IP. and continued with speech from Rector of UGM, Prof. Ir. Panut Mulyono, M.Eng., D.Eng. “The spirit of you, which want us to become one big family with good relationship, has also brought the spirit of this campus.” said Ganjar Pranowo in Balairung, Saturday (15/12). 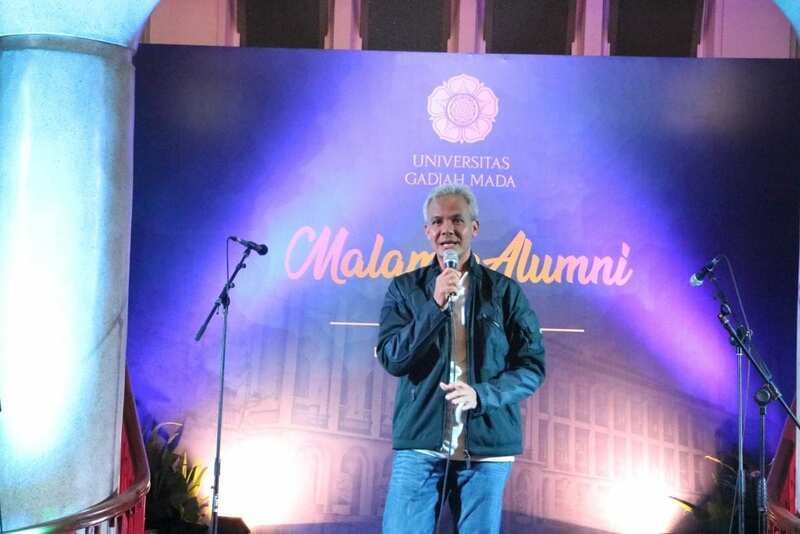 Alumni Night became a right moment to introduce Sahabat UGM program to the alumni. Through video launching of this program, it is expected that many UGM Alumni will participate.